We offer professional landscape maintenance, lawn care and custom landscape design services to Bergen county, NJ residents. Discriminating clients who value superior service are our bread and butter. From turf to plants, soil biology to lawn diseases, our staff is knowledgeable in the critical areas of landscape maintenance that are the underpinning of your garden’s success. If you’ve experienced a burnt out lawn due to over fertilization, a shrub that was “pruned” but really butchered, or come home to your lawn razed to the ground in an attempted mowing – you’ve been the victim of landscapers who lack plant knowledge. Gardens take years to come to fruition and we respect nature, your time and investment, so we guarantee that we will treat your garden like our very own. Individual services are listed below, or you can click here for packages. Please include desired services and request details in your message. Thanks! Please select desired maintenance services below. If service is not listed, please enter details in your message. Beautiful gardens don't just happen. We care for your garden with best practices established by the best minds in the landscape industry. Our Staff are trained in horticultural knowledge and follow specific care guidelines and when making recommendations. See our full list of garden services for all your landscape needs. Great lawn care requires more than just mowing. We provide expert lawn remediation services to repair your lawn, annual packages with best practices and sod installation services. 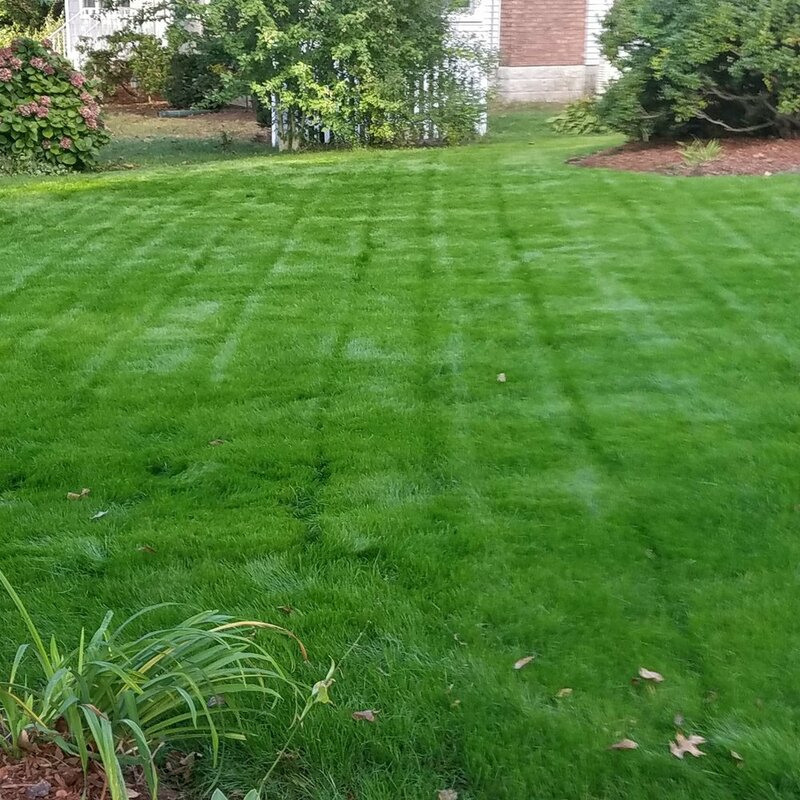 Traditional fertilizer or organic lawn care services are included for full maintenance clients. 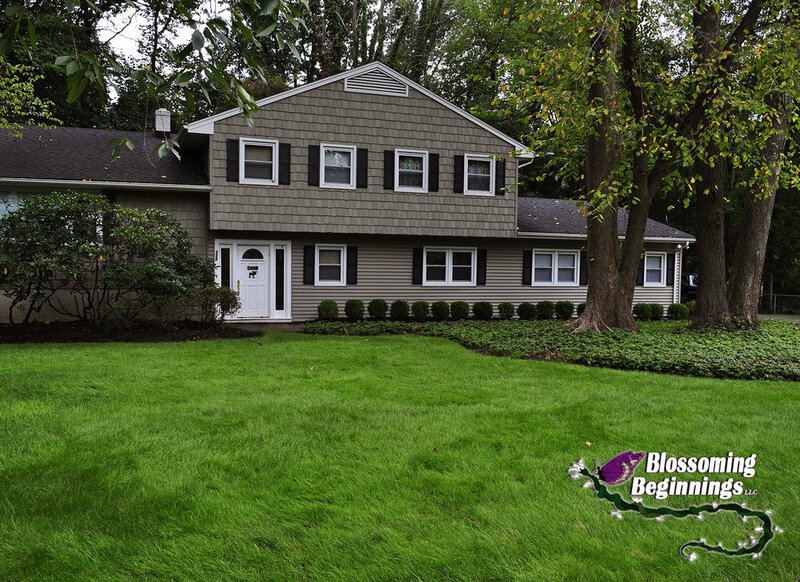 Featured photos are Blossoming Beginnings client lawns. Get the best lawn on the block! We install it all! Plants, trees, premium sod and more. Click below for complete list of installation services. Need a custom landscape design? Click here. We provide snow removal services for select towns in Bergen County. Snow removal agreements are available, or can be added to annual maintenance contract for additional savings. Service Areas: Bergenfield, Bogota, Closter, Cresskill, Demarest, Dumont, Englewood, Hackensack, Harrington Park, Hasbrouck Heights, Leonia, Maywood, New Milford, Rockleigh, Teaneck, Tenafly and Woodcliff Lake.